LAMAG is hosting a free screening of Mariah Garnett’s film Trouble, a documentary about her relationship with her Northern Irish father who she met as an adult. The screening also includes a Q&A with the artist to follow plus snacks and drinks. 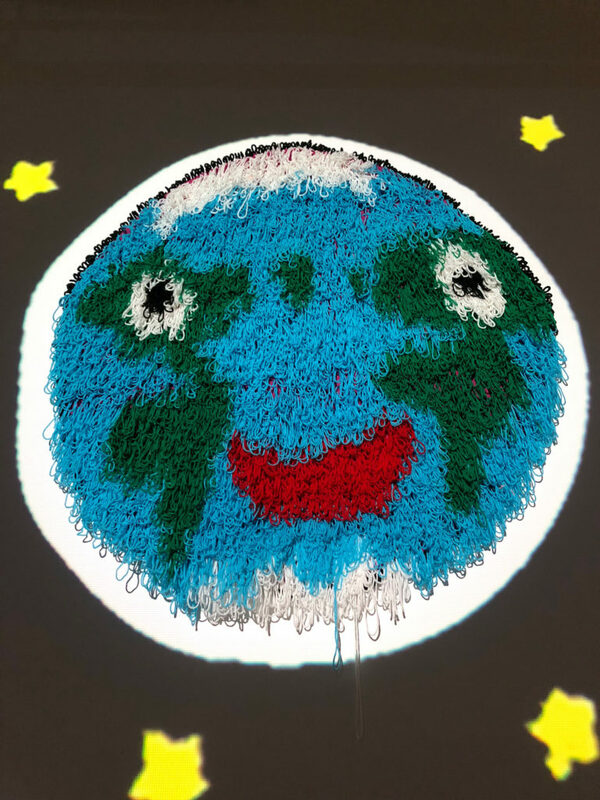 While we are living in a time where anxiety is prevalent, it’s nice to imagine being as calm as Superchill, the title character of Hannah Epstein’s comic strip, and star of her exhibition Do You Want A Free Trip To Outer Space? at Steve Turner gallery. The show combines hooked rugs, video animation, and a video game that you can play, all creating a fun little world to inhabit for awhile. Also in the gallery’s other rooms are Jamie Felton’s painting show Parts from an Oyster and Paige Jiyoung Moon’s paintings for Days of Our Lives. All three exhibitions close 2/16/19. 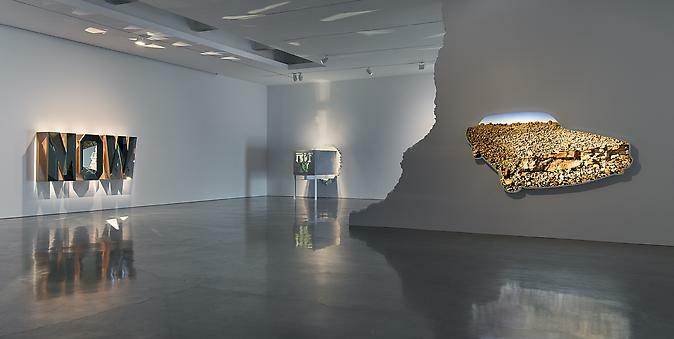 Nearby at Regen Projects is Glenn Ligon’s exhibition of new work, Untitled (America)/Debris Field/Synecdoche/Notes for a Poem on the Third World. 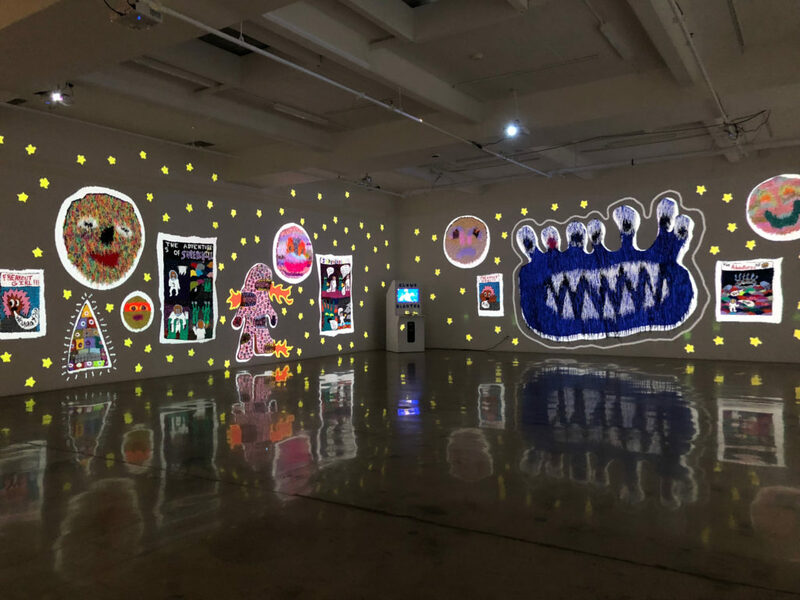 Over the years, Ligon has created neon sculptures that illuminate various phrases or words in charged and animated ways. 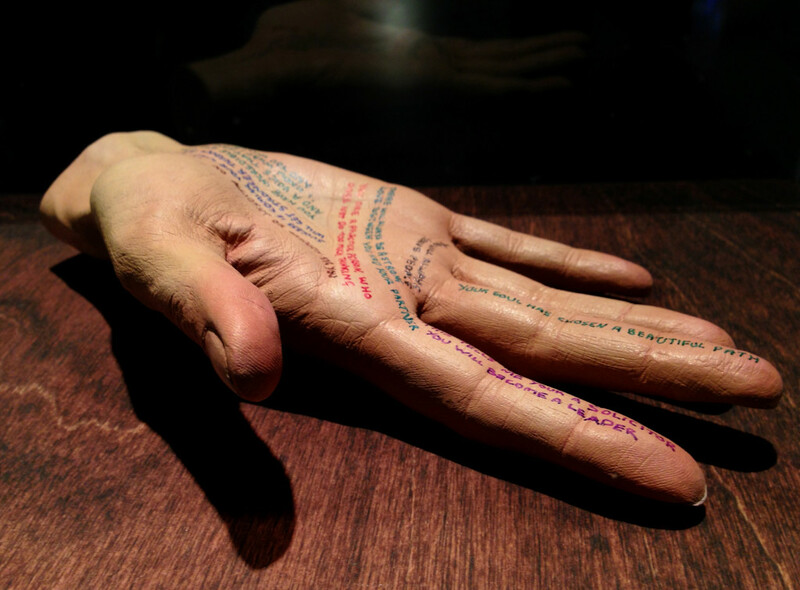 Notes for a Poem on the Third World, Ligon’s first figurative sculpture, is comprised of a large neon based on a tracing of the artist’s hands that takes its inspiration from an unrealized film project by Pier Paolo Pasolini that was to be shot in India, Africa, the Arab countries, Latin America, and the “black ghettoes of the United States.” Pasolini claimed that it was the “discovery of the elsewhere” that drove his identification with the struggles of non-Western peoples and people on the margins of the West. 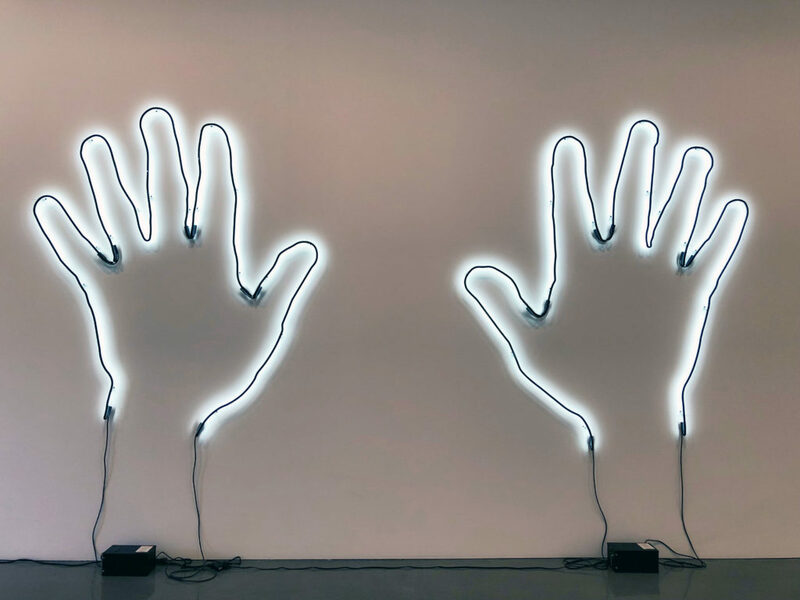 Ligon’s neon, with its ambiguous gesture of greeting, protest, or surrender, is the first of a series of works inspired by Pasolini’s project. Also featured in the exhibition is Untitled (America), 2018, a black-painted red neon in which the word “America” is displayed upside down, and Synecdoche (For Byron Kim), a neon showing the date of the next presidential election that will be lit on that day. For Rock Lottery, taking place this time at The Echo, 25 different musicians meet at 10 am and are divided into groups of five to create and rehearse songs that are then played at a show that night. This event’s musicians include Mikal Cronin, Mike Watt, Patty Schemel, and Kelcey Ayer. 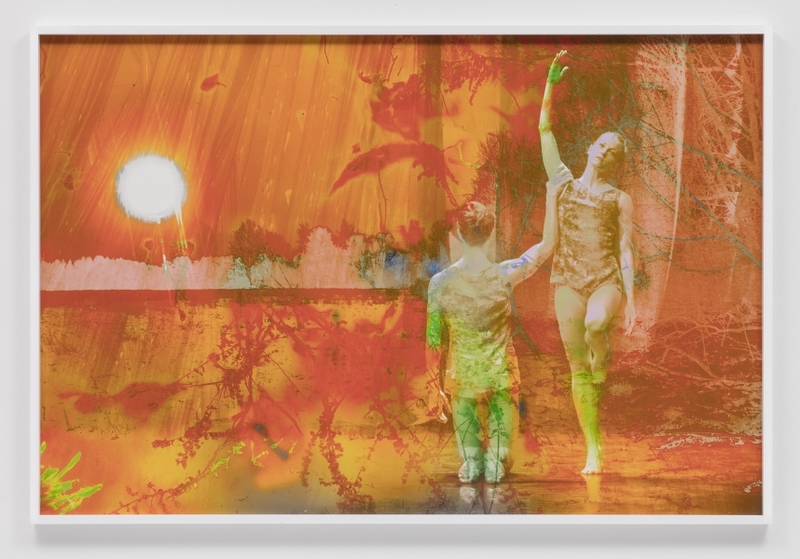 For his current solo exhibition Choreograph at Regen Projects, James Welling combines his images of architecture and landscape (common in his previous work), with photographs of dancers to create beautiful dreamlike worlds. Welling once studied dance at the University of Pittsburgh before stopping after a year to go to CalArts, and his continued love of dance is evident in the work. To create these works Welling photographed over a dozen dance companies in New York, Philadelphia, Ottawa, and Los Angeles. The dance photographs were then merged with photographs of architecture (buildings by Frank Lloyd Wright, Marcel Breuer, and Paul Rudolph) and landscape imagery (western Connecticut, southern Florida, and Switzerland) in Photoshop’s fundamental red, green, and blue color channels, which are basic to all color photographs. 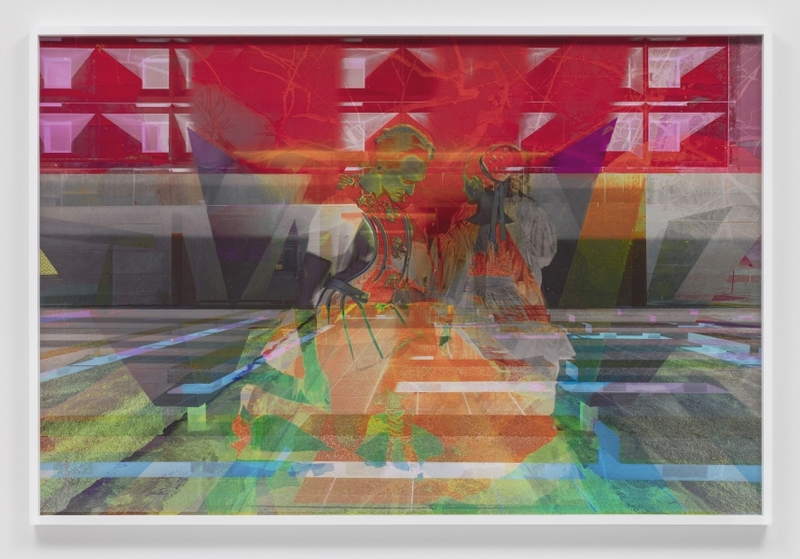 The resulting electronic files were altered by the artist using Photoshop’s Hue and Saturation layers to create complicated, multi-hued photographs, which were then printed on rag paper using a 10 color Epson Stylus Pro 9900 inkjet printer. For more information on how he achieved the look of the photos in Photoshop, there is a booklet at the front desk that contains a breakdown of the color channels and a list of each color adjustment layer. 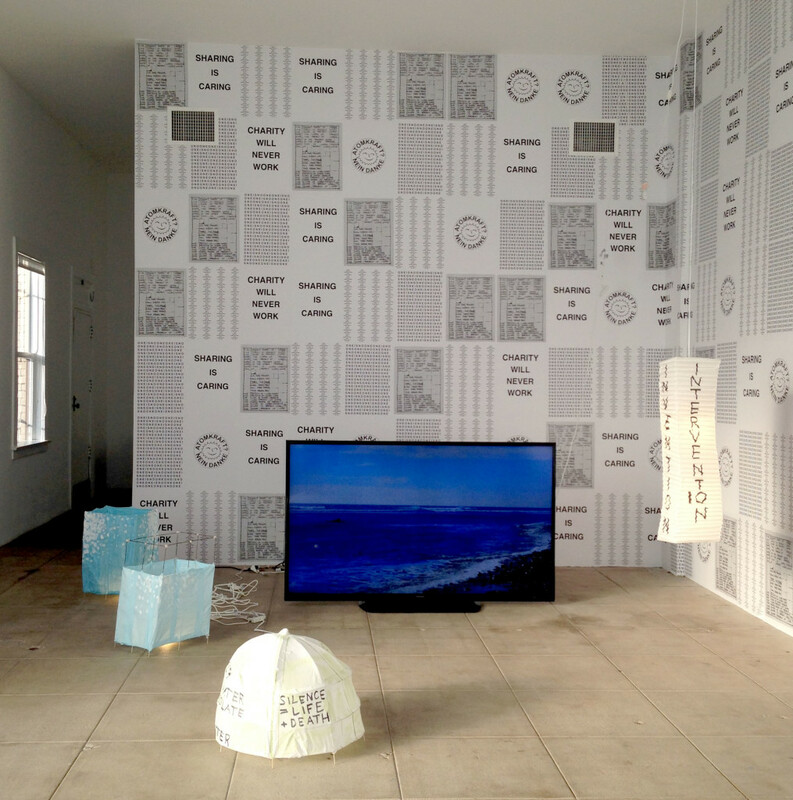 Tomorrow (3/7) is the last day to see the Ei Arakawa and Karl Holmqvist exhibition Y.O.Y.O.G.A.L.A.N.D. at Overduin & Co. The exhibition features sculpture, drawing, poetry, and video in an installation addressing a range of subjects from global energy production-nuclear power and the potential of geothermal energy-to utopian ideals and the relationship between art and social issues. 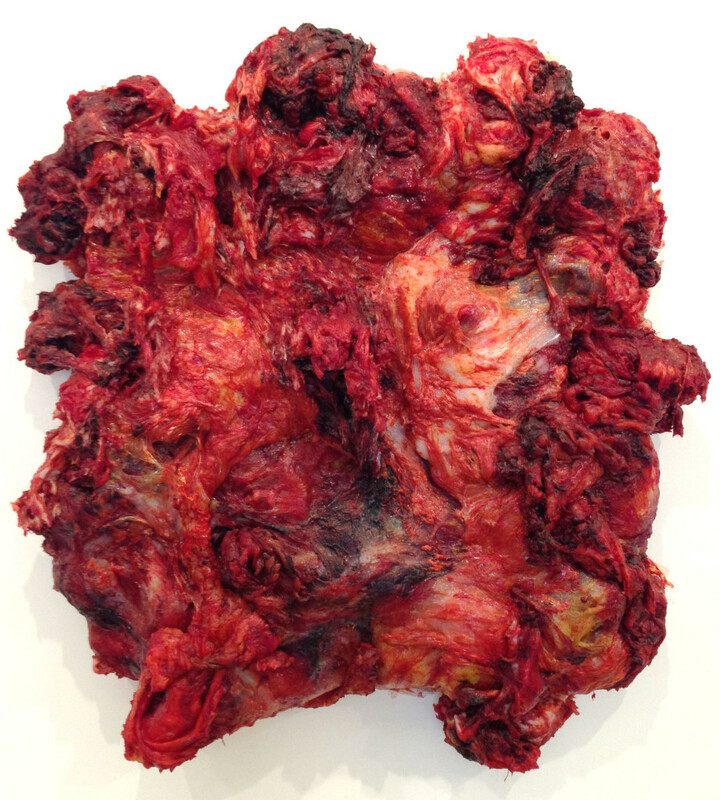 Also closing 3/7 is London based artist Anish Kapoor’s sculpture show at Regen Projects. 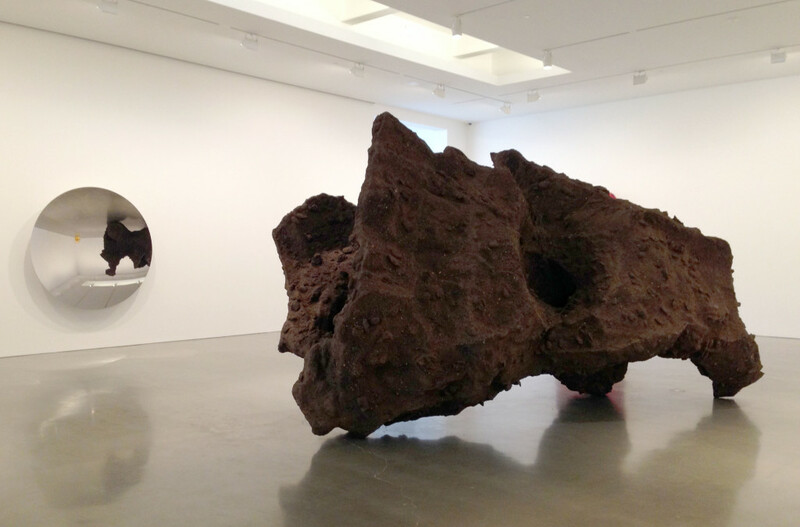 A series of monumental works feature organic, terrestrial forms made from resin and earth. In contrast to their raw, earthly matter, a series of highly polished stainless steel sculptures reflect and refract an illusion of the world onto their mirrored surfaces and confound the viewers’ relationship to the space around them. Similarly, several monochromatic voids appear to float on the gallery walls, their concave interiors play with the viewers’ perception of surface and depth and create the illusion of infinite space reflected in their void like interiors. A trio of amorphous wall sculptures entitled Keriah (I, II, III) refer to the Jewish mourning practice of clothes tearing. Visceral and raw, their shapes hang on the wall as if in a perpetual state of decay. 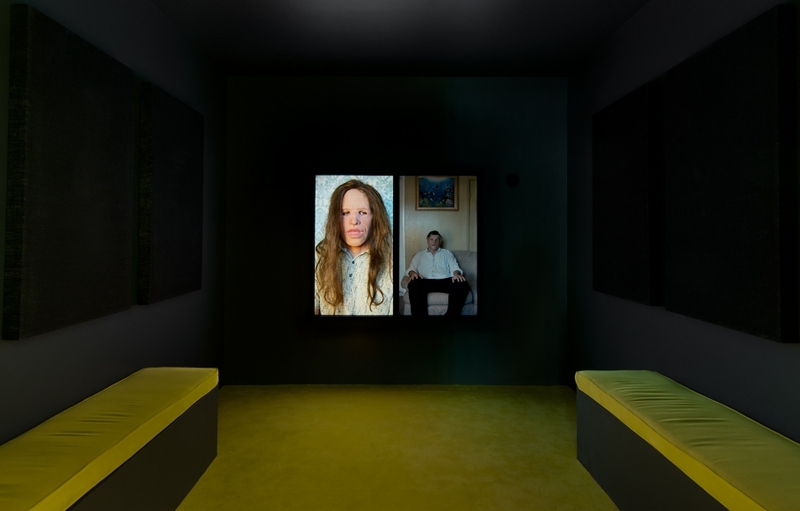 Today is the last day to see British artist Gillian Wearing’s exhibition everyone at Regen Projects. The two new video works are especially affecting. Fear and Loathing, the artist’s first work produced in the US, presents a split screen with two people wearing masks, one on each side, alternating monologues about either a fear or a loathing from their personal lives. In the second, We are Here, residents of the West Midlands of England, tell stories of their lives as if they have returned from the dead. This piece was inspired by the American poet Edgar Lee Masters’ 1915 book Spoon River Anthology. 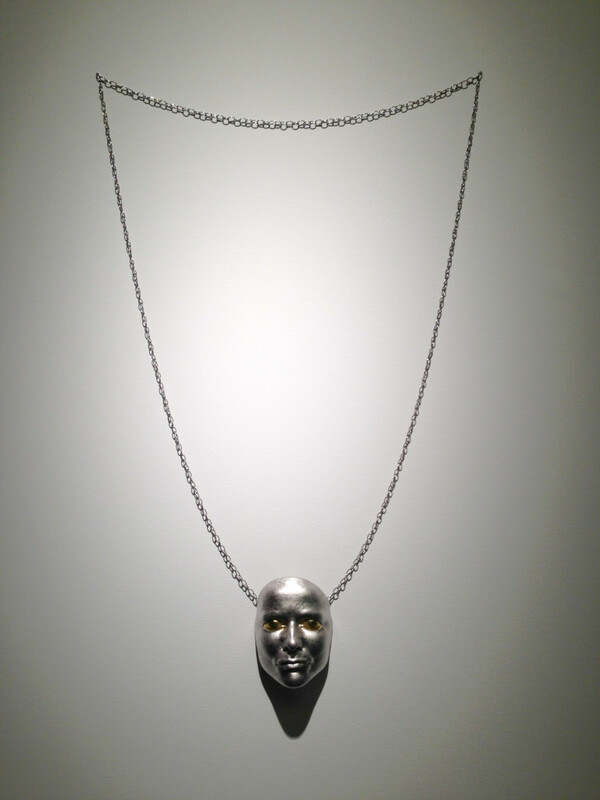 The artist also includes portraits of herself within the exhibition, including a portrait of herself in a mask of her younger self, a large necklace with a pendant that is a mask of her face, and a series of sculptures of her hand with different fortune teller readings written on them. There’s a certain sadness to the exhibition as Wearing examines lives caught in circumstances that are often beyond their control. This ties in to the idea of the fortune teller, who is sought out for the feeling that life is predestined. Yet the various fortune tellers here tell different stories for the same hand. Perhaps these are like the different stories we are presenting to the world throughout our lives, at times with our true faces masked. 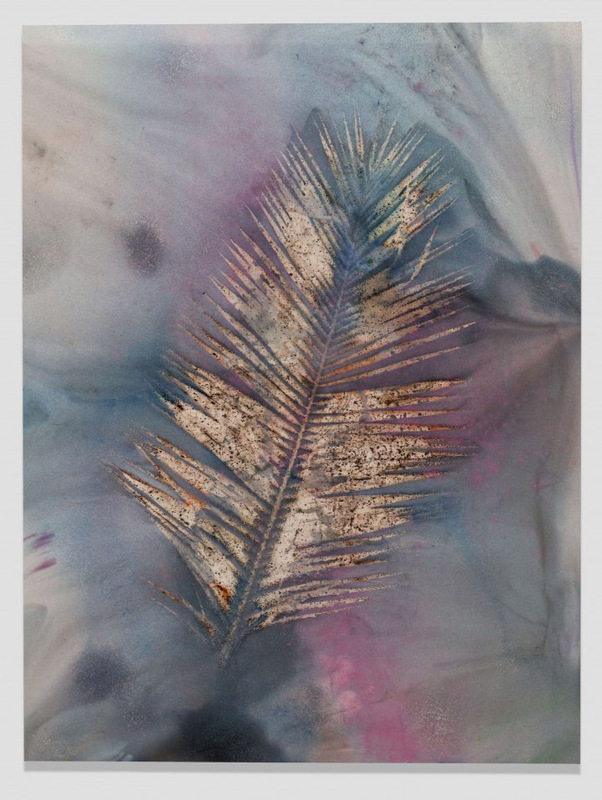 The paintings in Sam Falls’ current exhibition at Hannah Hoffman Gallery are created by taking local vegetation, adding pigments and letting the elements, including rain form silhouettes on the canvas. The results are striking, especially the larger canvases. This show continues through 10/25. Also in the area- Brazilian artist Eduardo Kobra’s mural is between Fountain and Lexington on Highland. 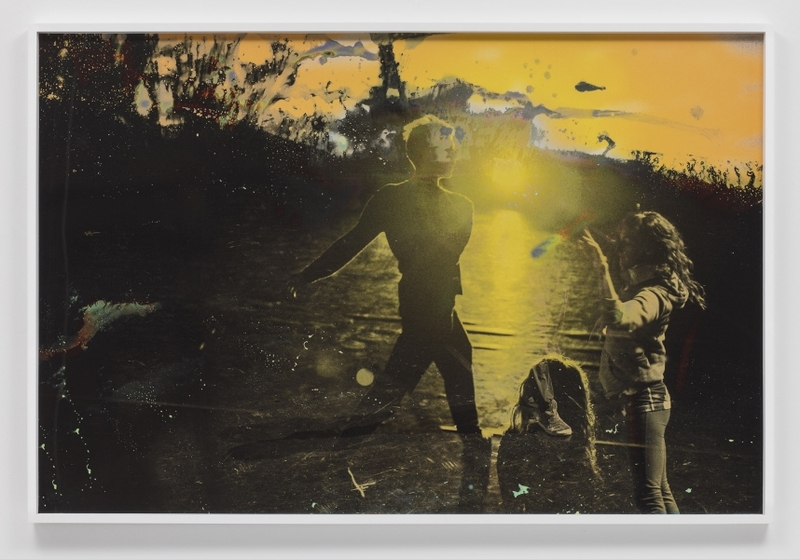 Spanning a variety of media encompassing photography, sculpture, publications, sound, and single and multi-channel video installations, Aitken’s work explores the modern landscape and posits possibilities for new uncharted frontiers. This exhibition, the artist’s fourth solo presentation at Regen Projects, will feature an installation of new sculptural objects within a labyrinthine space designed to create an experience of unexpected encounters and a sense of mystery and discovery for the viewer to navigate. This is a really fun show. 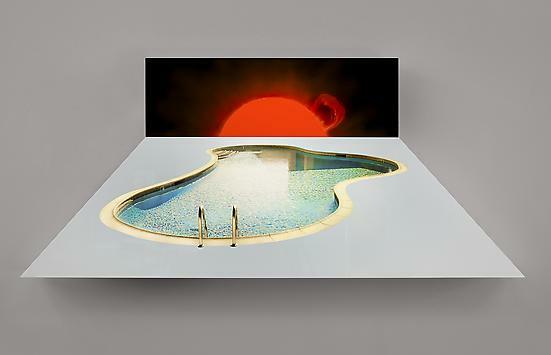 Tomorrow (10/4), there will be a performance by Doug Aitken and then he will be signing his book. This event begins at 4pm with the book signing from 6-8pm.